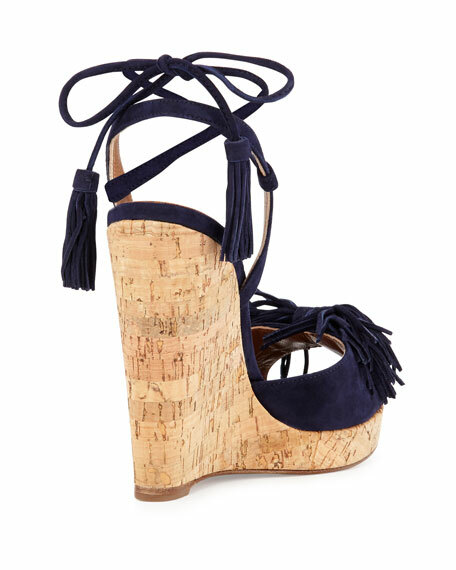 5" cork wedge heel; 1" platform; 4" equiv. 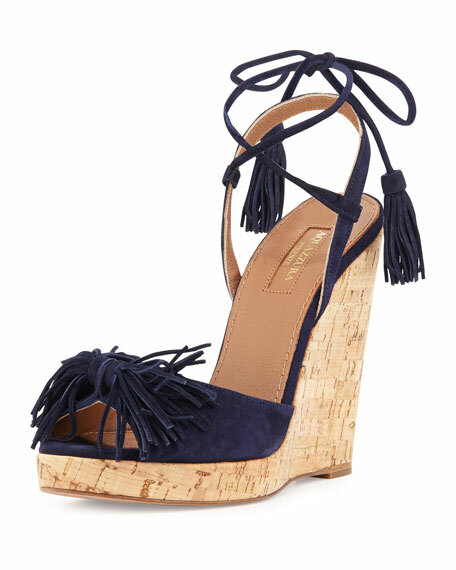 Tapered toe strap with tassel detail. 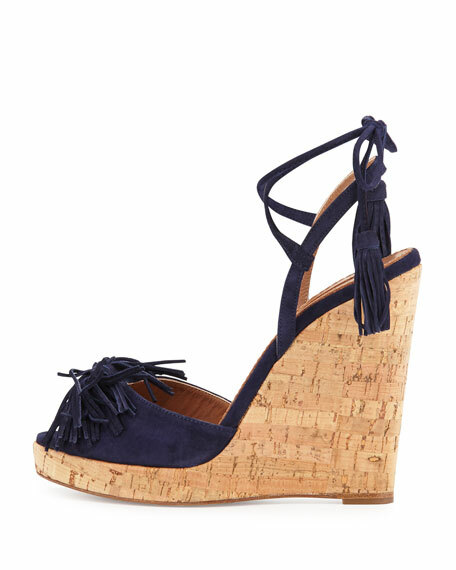 Adjustable ankle-wrap with tassel ties. "Wild One" is made in Spain of Italian material. For in-store inquiries, use sku #1683249.